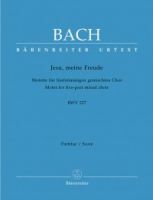 The most popular vocal score for Bach's Motet 3 (Jesu meine Freude) is shown below. Jesu, meine Freude is a motet in five parts for unaccompanied choir, composed by Johann Sebastian Bach. The full title of the work is Motet No. 3 in E minor, BWV 227. It was written in Leipzig in 1723 for the funeral of Johanna Maria Käsin, the wife of that city’s postmaster. The 5th voice of the chorus is a second soprano part of harmonic richness, adding considerably to the tonal palette of the work as a whole. The chorale melody on which it is based was by Johann Crüger (1653), and it first appeared in his Praxis pietatis melica. The German text is by Johann Franck, and dates from c. 1650. The words of the movement nos. 2, 4, 6, 8, and 10 are based on the Epistle to the Romans 8:1-2, 9-11. The scriptures here speak of Jesus Christ freeing man from sin and death. The chorale text is from the believer's point of view and praises the gifts of Jesus Christ as well as longing for his comforting spirit. It also abounds with stark contrasts between images of heaven and hell, often within a single section. 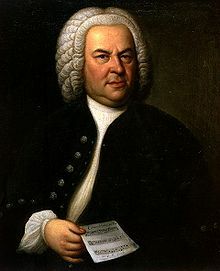 Bach's vivid setting of the words heightens these dramatic contrasts resulting in a motet with an uncommonly wide dramatic range. 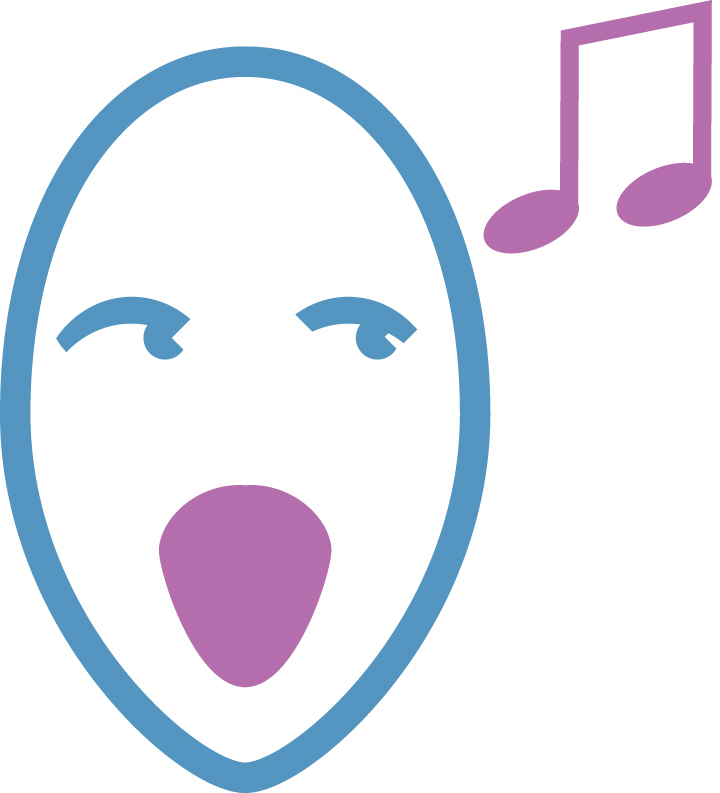 If you wish to buy Bach Motet 3, please click Vocal Scores and then FILTER BY COMPOSER, or see below for more. If you wish to have a CD of Bach's Motet's to hear the whole work please click here and please do click on the video below to listen right away if you wish.